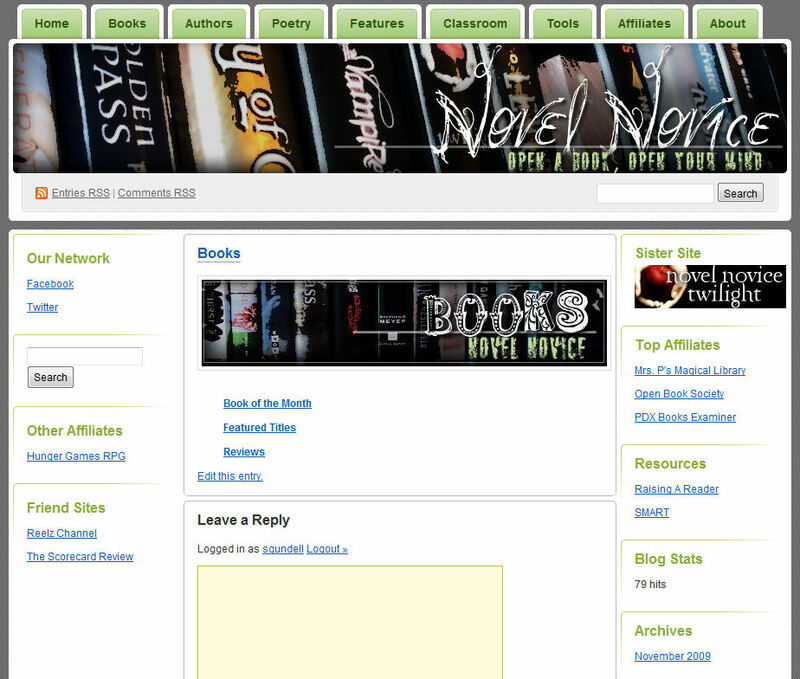 Next month, we’re excited to launch our brand new website NovelNovice.com … this will be a sister site for NNT, and will expand on the same principles we cherish here: to encourage education and to foster a life-long love of reading by promoting great books for Young Adult readers. 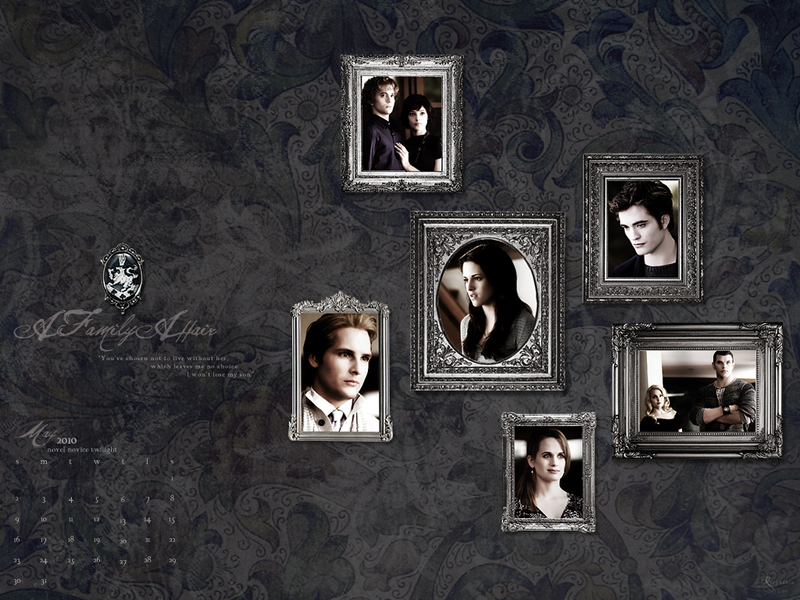 But with the new NovelNovice.com, we’re moving well beyond just the Twilight series. Don’t worry, the NNT you know and love isn’t going anywhere — we’ll still be here, updating you with news, downloads, contests and more. But the new NovelNovice.com will feature even more goodies for you to enjoy and will help you explore more great books to read! You’ll notice we already have a button in our sidebar to help link you to the new Novel Novice … you can also follow Novel Novice on Twitter and become a fan of Novel Novice on Facebook, for more updates & goodies! A little Twi-News to get your Monday started off right! 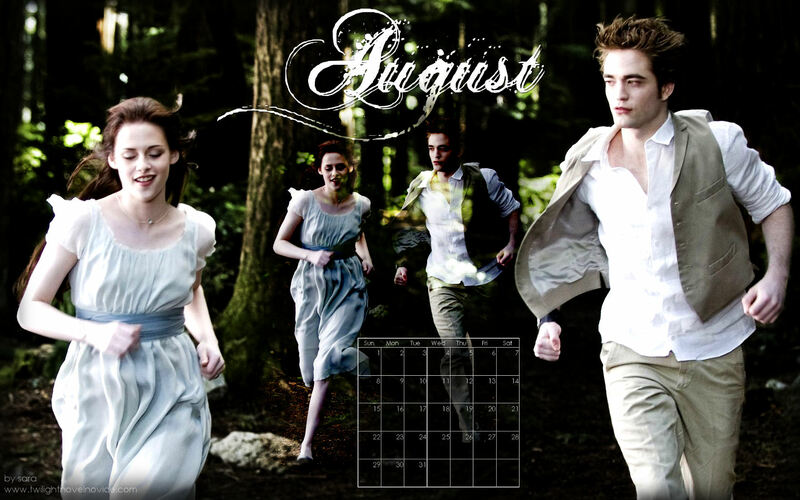 * The Twilight Examiner has a very thorough look back at 2009: The Year of The Twilight Saga: New Moon. I found Edward Cullen under my Christmas tree! 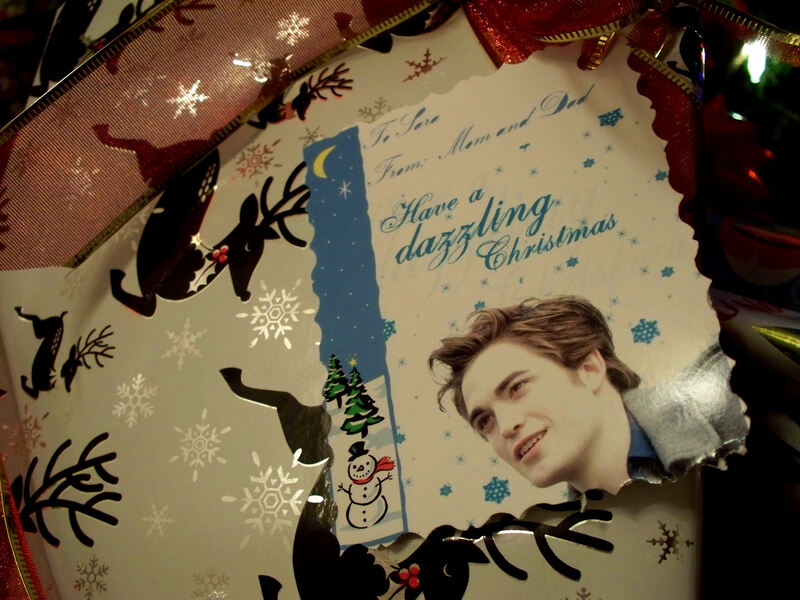 Okay, not exactly Edward Cullen … but I did find an Edward Cullen Christmas tag on one of my presents, and some delightful Twilight gifts under the tree! The most exciting was this painting my mom made (thanks, mom!) 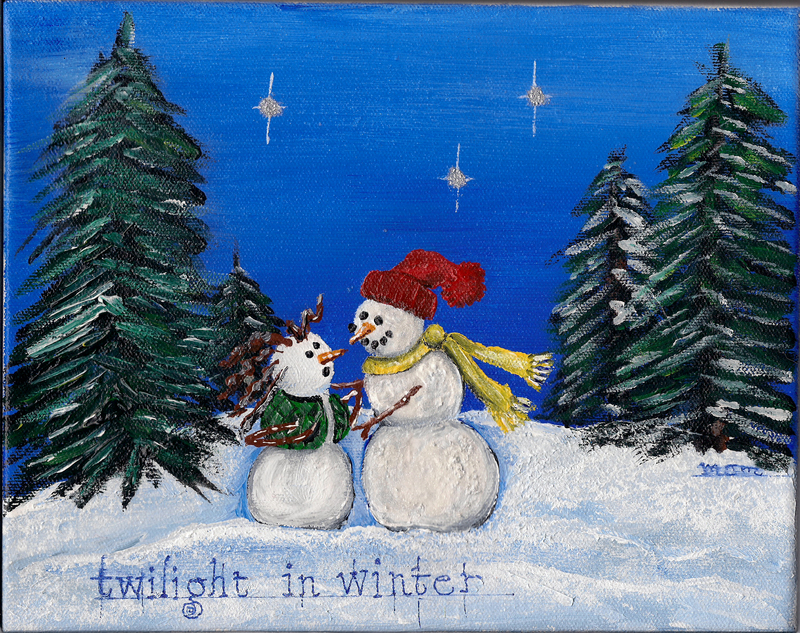 called “Twilight in Winter,” in which she depicted Bella and Edward as snowmen. The Edward snowman is even sparkly! And here is the package with the Edward Cullen tag, which my clever mom made using one of the holiday downloads available right here on Novel Novice Twilight! 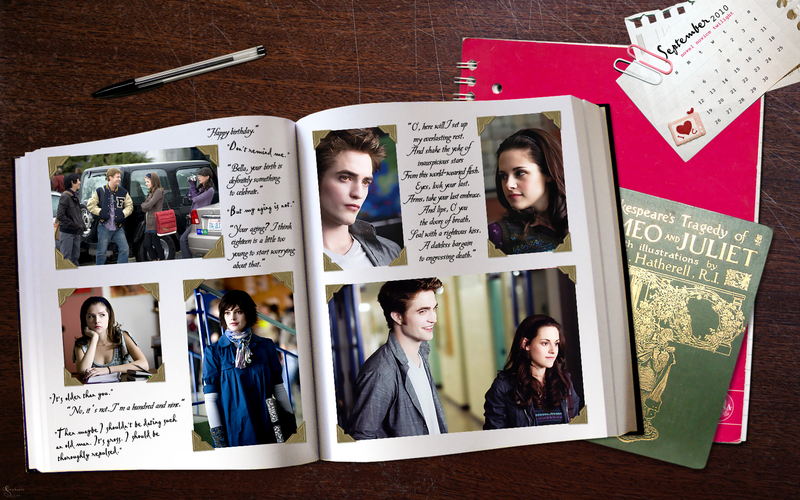 What sort of Twilight Saga goodies did you get for the holidays this year? Tell us in the comments! Catching up on some post-holiday Twi-News! * The Lex has a nice look at the numbers for New Moon in 2009 — what a year! 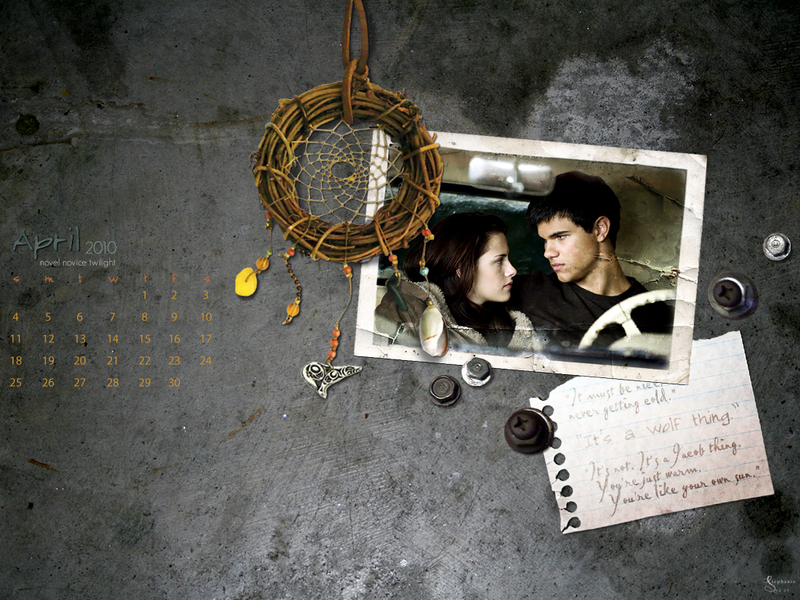 * And be sure to check out our 2010 Desktop Wallpaper Calendar! 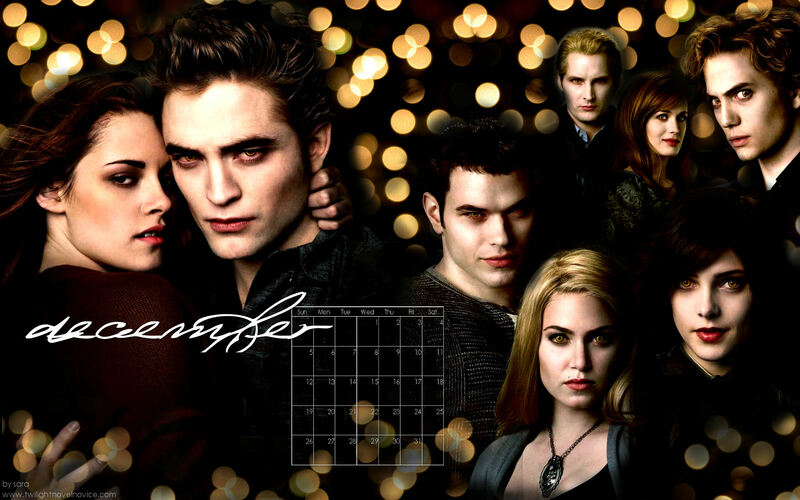 We’re back again this year with a Twilight Saga Desktop Wallpaper Calendar for 2010 (after the huge success of our 2009 calendar). 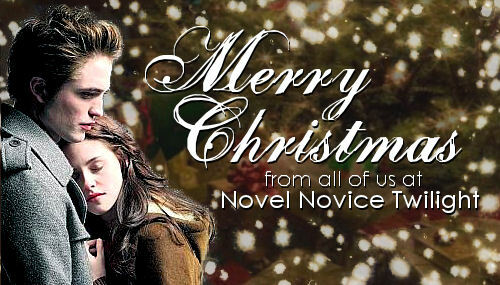 This is our little Christmas gift to you, and our way of saying thanks for yet another year with all of us at Novel Novice Twilight! 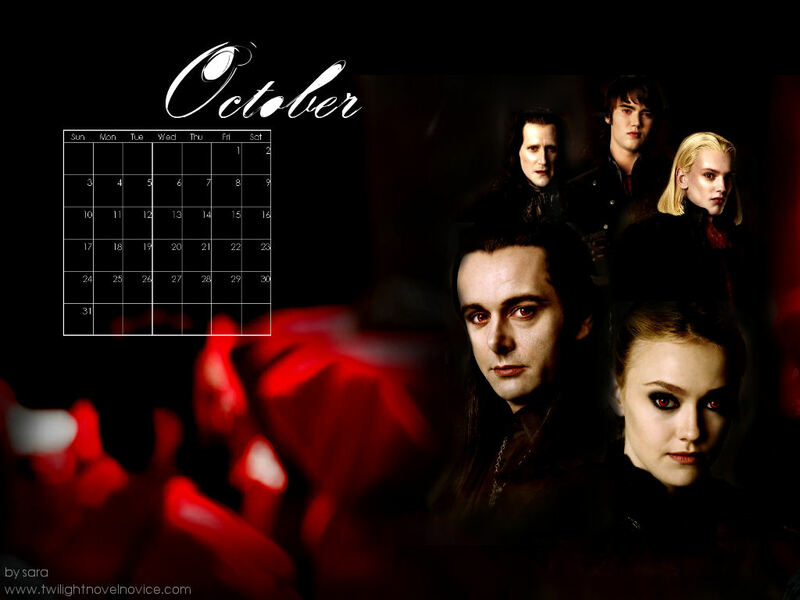 To download, click to view each month full-size, then right-click to save. 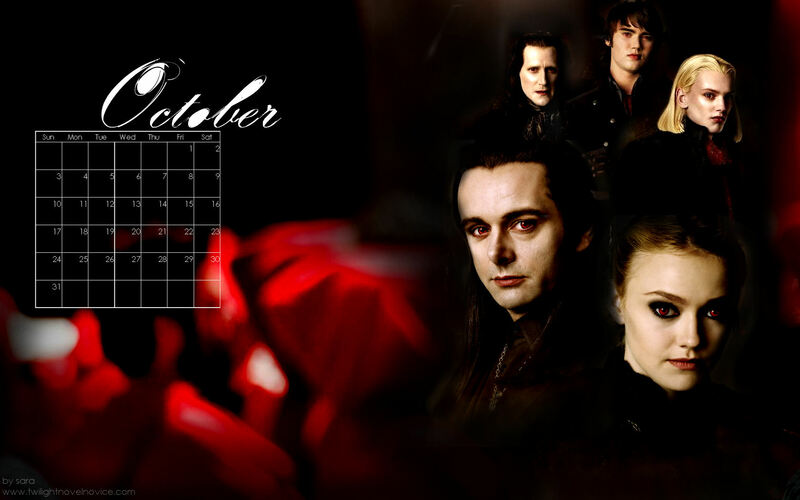 **UPDATE 12.27.09** The September calendar has been revised per one fan’s appreciated comment regarding the quoted text. 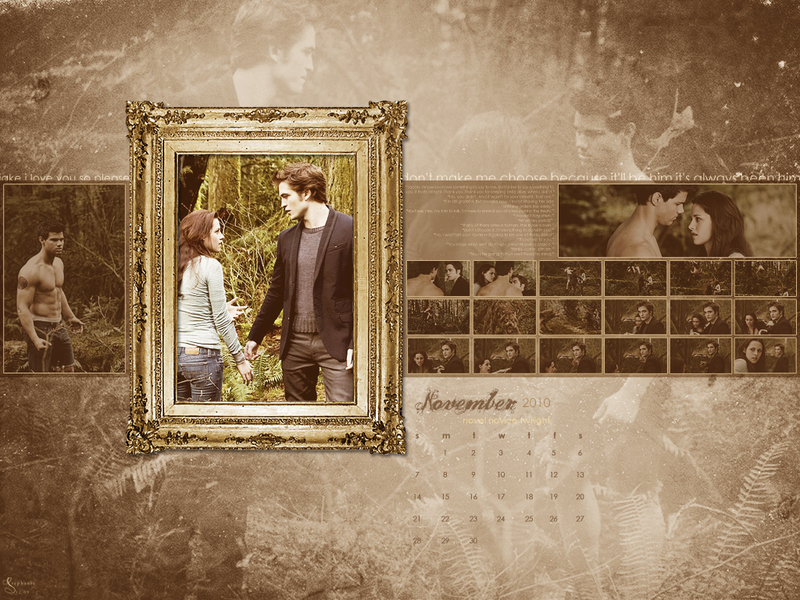 UPDATE: See a fan-made desktop wallpaper calendar here! UPDATE: Get the 2011 Calendar here! 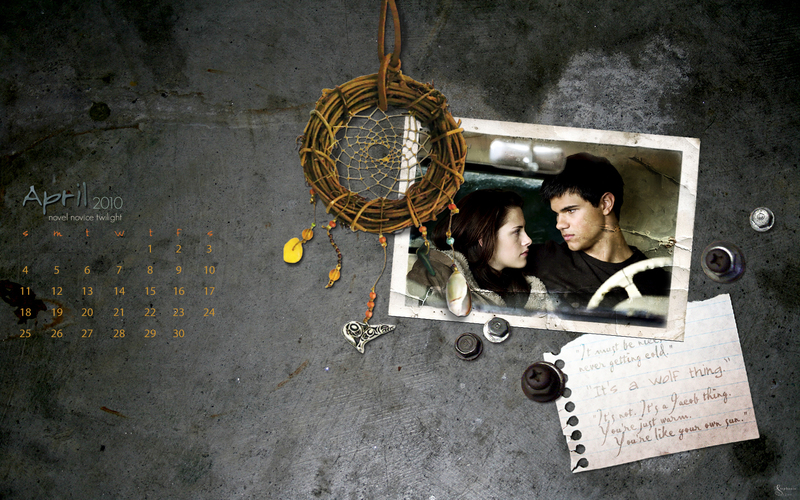 We’re taking a little break from the Twi-Verse (at least online) for the holiday … see you in a couple days! Music is “Silent Night” by Sinead O’Connor. 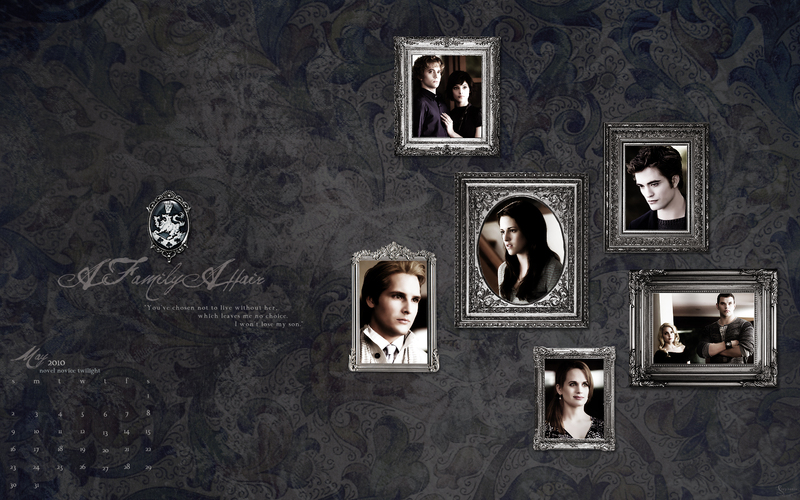 Happy Birthday to Stephenie Meyer! 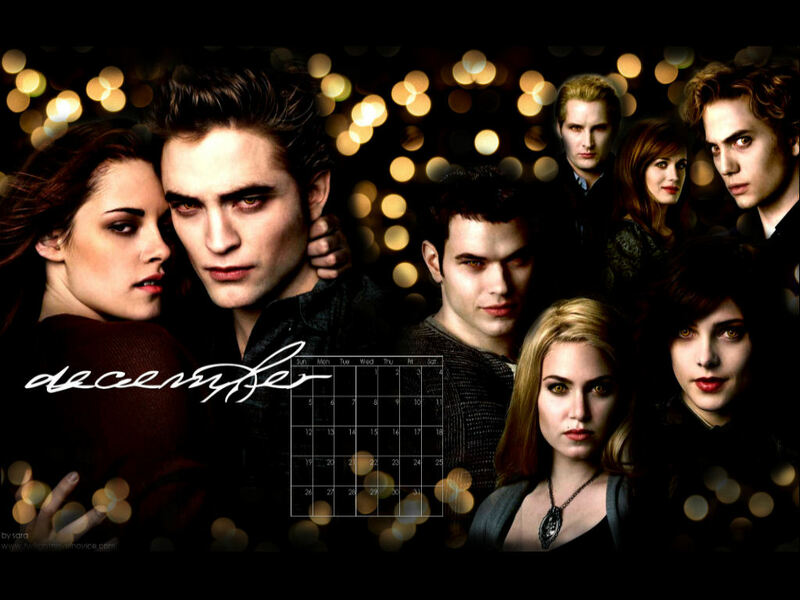 Today, December 24th, is Twilight author Stephenie Meyer’s birthday! The entire fandom owes her a debt of gratitude for creating our beloved characters & books … from all of us here at NNT, Happy Birthday! You can also read more about Meyer’s birthday at the Twilight Examiner.